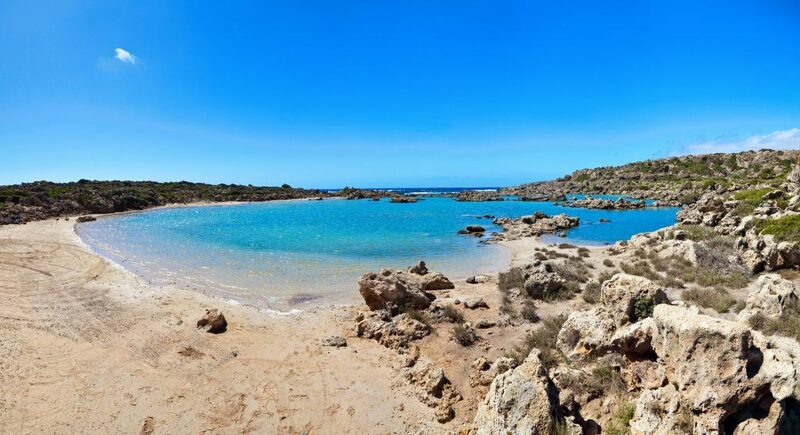 Aspri Limni is one of the most beautiful beaches of Crete and remains almost unknown to most people. It is located just 500 meters away from the monastery of Chrysoskalitissa and 70 km southwest of Chania. 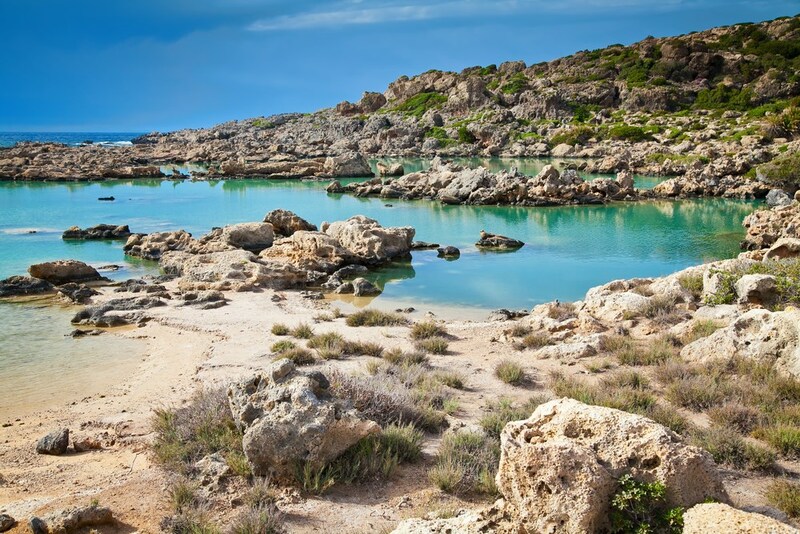 Although thousands of tourists flock the neighboring exotic Elafonisi, almost no one knows about Aspri Limni, which is a paradise on earth. 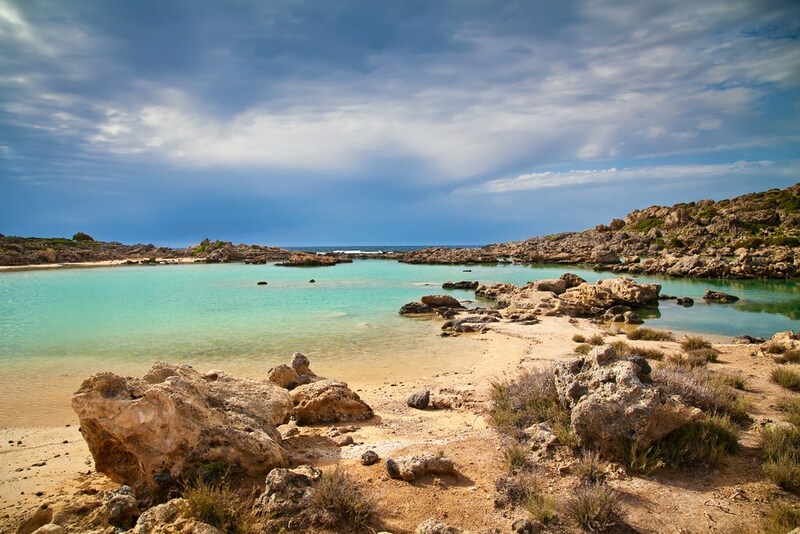 This beach with white sand is surrounded by rocks that form a natural barrier to the sea, giving you the impression that you are in a lake with seawater. The landscape is completely arid and there aren’t any trees, apart from the short Cretan palm trees. And as you will not find any shade, you should have with you everything you need to enjoy swimming in Aspri Limni. The environmental importance of Aspri Limni is huge, as it is the westernmost colony of the protected Cretan palm (Phoenix theofrasti). The area has been designated as protected and has joined the program Natura. To get to Aspri Limni, you have to follow the path from the monastery of Chrysoskalitissa and follow the signs of the Forest Service for the colony of the palm trees.